1. 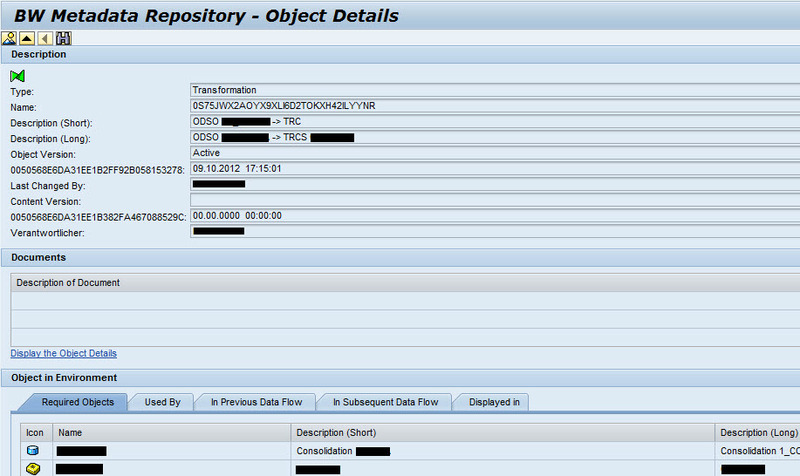 BW metadata repository: It is available in TA RSA1 which you select particular TRFN and press F1 button. It open web browser with page generated out of web dynpro RSO_METADATA_REPOSITORY. You can either save this page in HTML format or embed it into your documentation as attached file. Other possibility is to just include URL link (e.g. http://host:port/SAP/BC/WEBDYNPRO/SAP/RSO_METADATA_ REPOSITORY?SAP-LANGUAGE=E&objvers=A&tlogo=TRFN&objnm= 0S75JWX2AOYX9XLI6D2TOKXH42ILYYNR ) to this page in your documentation. 2. 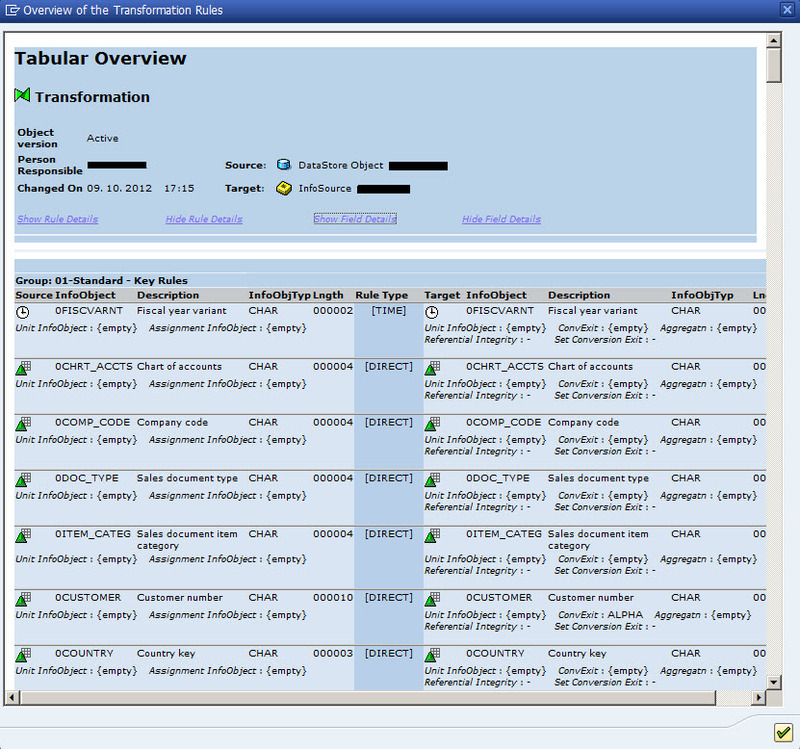 Tabular overview: Functionality is available in TA RSA1: while you in display/change screen of TRFN choose Tabular overview from Extras menu. You get new pop up window with overview of all IOs used, Rules details, Start/End Routine. You can copy content of this window to your documentation via clipboard. 3. 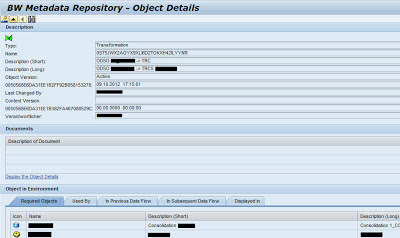 Save as picture: From display/change screen in TA RSA1 you have Save as picture functionality available. You can afterwards include this picture into your documentation. 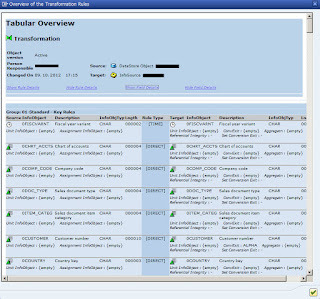 Specially that related to tabular view from Transformation.